Download "DIRECT FUNDS STRUCTURAL FUNDS EU BUDGET NO FRAUD. Rome, 08-09 October 2015"
3 Conference Objectives This event is timely. New rules for the different Funds (European Regional Development Fund, European Social Fund, Cohesion Fund, European Agricultural Fund for Rural Development and the European Fisheries and Maritime Fund) have entered into force in January 2014 and the new 7 years programming of direct funds has started. They require authorities managing EU money to put more resources into effective and proportionate anti-fraud measures to identify and tackle potential risk areas. Therefore, the objective of the conference is to raise awareness and showcase some tools and measures which can help to identify and mitigate fraud and corruption risks in relation to the use of indirect and direct EU funds. In particular, the conference aims: a) to improve the prevention and investigation of fraud and other illegal activities beyond current levels by enhancing transnational and multi-disciplinary cooperation; b) to increase the protection of the financial interests of the Union against fraud, facilitating the exchange of information, experiences and best practices; c) to strengthen the fight against fraud and other illegal activities providing technical and operational support EU funded projects managing authorities and other relevant stakeholders. Financial Instruments delivering ESI Funds. Malta 25 January Programme. What you always wanted to know, and never dare to ask about European Funding! Providing the necessary skills to investigate financial crime and tax related offenses. Prevention and fight against irregularities and frauds aimed at protecting EU revenues: profiles of harmonization and coordination within the activity of the SAIs Tuesday September 30, 2014 Hall SS.RR. COMMISSION OF THE EUROPEAN COMMUNITIES. COMMISSION REGULATION (EC) No /..
Risk Management Strategy EEA & Norway Grants 2009-2014. Adopted by the Financial Mechanism Committee on 27 February 2013. Cost-Benefit Analysis (CBA) of EU-Financed Projects: Why and How? 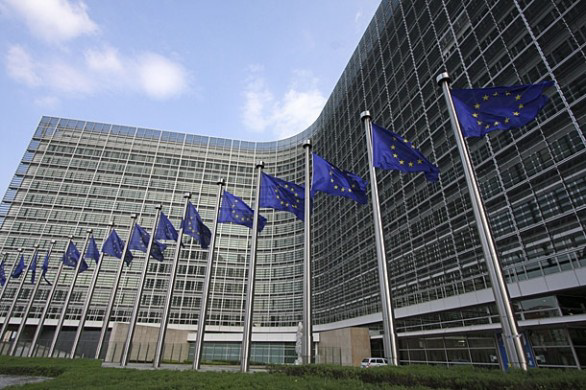 The 2014 Italian Presidency of the Permanent Committee on Cadastre in the E.U. Associates REGIONE DELL'UMBRIA. UNIVERSITÀ DEGLI STUDI DI PERUGIA (Socio Fondatore) GRUPPO GRIFO LATTE SOCIETÀ AGRICOLA COOPERATIVA A.R.L.